Ring Size : UK N. Type : Ring. Ring Weight : 4.4 gm. Gemstone Size : 8 x 5 mm Approx. Up for your consideration, we have a Coral Gemstone that is set in a. 925 Silver band band in this Gorgeous ring. I WOULD LIKE TO INTRODUCE MYSELF AND MY GREAT GRANDDAUGHTER " LILY ". Secondary Stone Coral,Diamond. It is perfect example of "Turkish" handcraft production. The stones is Aquamarine and Topaz. Material is 925 Sterling Silver and bronze. All have 925 Sterling Silver Stamp. All have 925 stamp. Ottoman jewelry was designed using natural motifs which reflected the prevailing tastes. We are last 10 years in this field. And a reputed Jewelry Firm in Jaipur (India). 100% BODY SAFE HYPOALLERGENIC, NICKLE, LEAD AND CADMIUM FREE. AURA JEWELRY. We want you to be 100% satisfied with our products and our service. ALWAYS STERLING SILVER. We believe in solving the issues. FINE SILVER! Turkish Handmade Evil Eye Nazar Round Sapphire Topaz 925 Sterling Silver Ring Size 7. It is perfect example of "Turkish" handcraft production. The stones are SAPPHIRE and TOPAZ. 925 Sterling Silver Stamp. Turkish Handmade Hurrem Sultan Jewelry Drop Sapphire Topaz 925 Sterling Silver Ring Size 8.5. I t is perfect example of "Turkish" handcraft production. The stones are SAPPHIRE and TOPAZ. Material is 925 sterling silver and bronze. The stones are RUBY and TOPAZ. Material is 925 sterling silver and bronze. 925 Sterling Silver Stamp. All have 925 stamp. 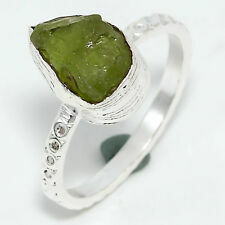 Any ring resizing requests would be done if item is suitable for that. Ottoman jewelry was designed using natural motifs which reflected the prevailing tastes. We will do our best to resolve any problem and to make you satisfied. We deal in best quality Antique & Tribal Jewelry products. It is perfect example of "Turkish" handcraft production. The stones are SAPPHIRE and TOPAZ. All have 925 stamp. It will perfectly match any of your outfits and will fit every occasion. Citrine brings energies of generosity so that the prosperity and success is shared. It has energies of good fortune and good luck. It is perfect example of "Turkish" handcraft production. The stones is Multicolor Zircon. Material is 925 Sterling Silver. It is perfect example of "Turkish" handcraft production. Material is 925 Sterling Silver. Turkish Handmade Ottoman Hurrem Sultan Jewelry Oval Pink Rose Quartz Clear White Topaz 925 Sterling Silver Precious Ring Size 9. It is perfect example of "Turkish" handcraft production. The stones are QUARTZ and TOPAZ. I t is perfect example of "Turkish" handcraft production. The stones are Black ONYX and TOPAZ. A ll have 925 stamp. Material is 925K sterling silver and bronze. Turkish Handmade Jewelry Ottoman Hurrem Sultan Style Round Pink Rose Cat's Eye Opal and White Topaz 925 Sterling Silver Ring Size 8 UK Size Q. It is perfect example of "Turkish" handcraft production. Turkish Handmade Ottoman Hurrem Sultan Jewelry Oval Pink Rose Quartz Clear White Topaz 925 Sterling Silver Precious Ring Size 7. It is perfect example of "Turkish" handcraft production. The stones are QUARTZ and TOPAZ. The ring is in a form of an artistic tree branch made with 925 sterling silver, amazing and unique piece of jewllery ! The ring is a perfect piece of jewellery it can be worn with an elegant outfit. Ring Size : UK S 1/4. Ring Weight : 4.9 gm. Type : Ring. Gemstone Size : 8 x 5 mm Approx. Gemstone Size : 8 x 5 mm Approx. Ring Size : UK Q 1/2. Type : Ring. Ring Weight : 4.7 gm.